After Sacco-Vanzetti… a bit about De Berk. I entirely understand the need of some people to perform randomised, placebo controlled trials (chiefly, in an effort to discern whether what is being tested has a ‘real’ effect or not). However, in the real world (that’s real people, with real problems) the fact that the placebo response may account for a lot of even the whole of a clinical response is not generally important for those the treatment is intended to help (those real people with real problems, again). You tell us that ‘they’ (whoever ‘they’ are) in homeopathy and food supplements would ‘run a mile from a double-blind trial’. I can’t speak for homeopathy (as I don’t know much about it), but you are simply incorrect with regard to double-blind studies on nutritional agents. Lex wrote ‘they would run a mile from a double-blind trial’. This is stated in absolute terms, no? Lex did not use words such as ‘generally’, or ‘usually’ or ‘tend to’. No, they – all of them – would not engage in double-blind research is the assertion. Now, as I said, there is a significant body of double-blind research in the area (some of which is industry-funded, of course). I actually started out with a list of studies to rebut Lex’s claim. But then I remembered something I think Karl Popper said about swans: If the hypothesis is that there are only white swans, I only need to show the existence of one black swan (not two, or 10 or 100) to disprove the hypothesis. And then I wondered if someone with a very pro-science stance would ‘take the bait’, focus on the fact that I only presented one study, and in so doing would betray ‘good science’ (and even logic) and demonstrate the subjectivity and prejudice that is so often found in science and academia. 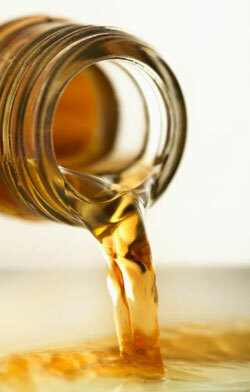 Several websites extol the virtues of Apple Cider Vinegar. Variously, it has been promoted as a weight loss aid, a cure for arthritis, a cholesterol-lowering aid and according to Earth Clinic (http://www.earthclinic.com/Remedies/acvinegar.html), it “cures more ailments than any other folk remedy”. The people at Earth Clinic also seem to think that Cider Vinegar “has anti-fungal, anti-bacterial, and anti-viral properties”. We will come back to the curative properties of Apple Cider Vinegar later.